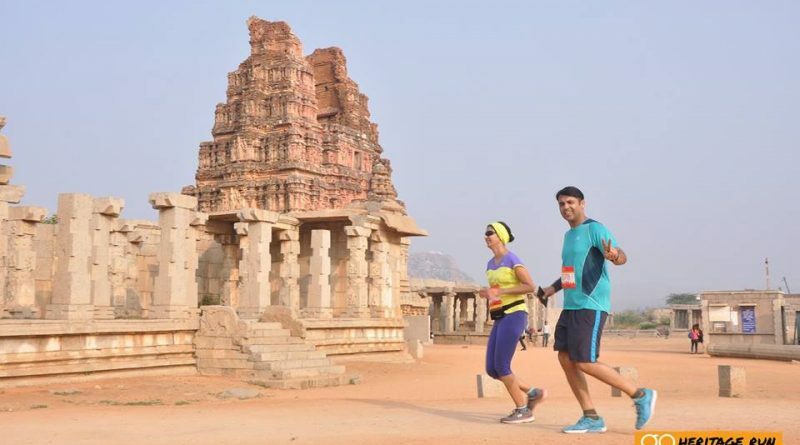 Hampi, land of the legendary monkey kingdom of Kishkindha and erstwhile seat of power of the Vijayanagar Empire has always been one of our favorite run destinations. 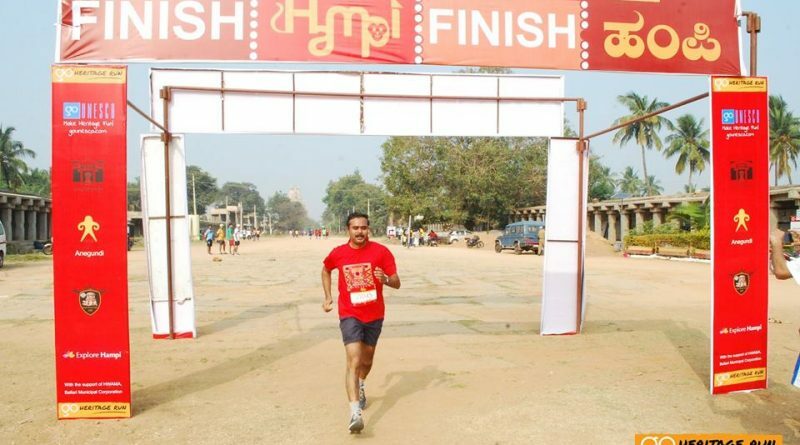 Even more so because Hampi was where we conceived the idea of fun runs at heritage sites over two years ago. 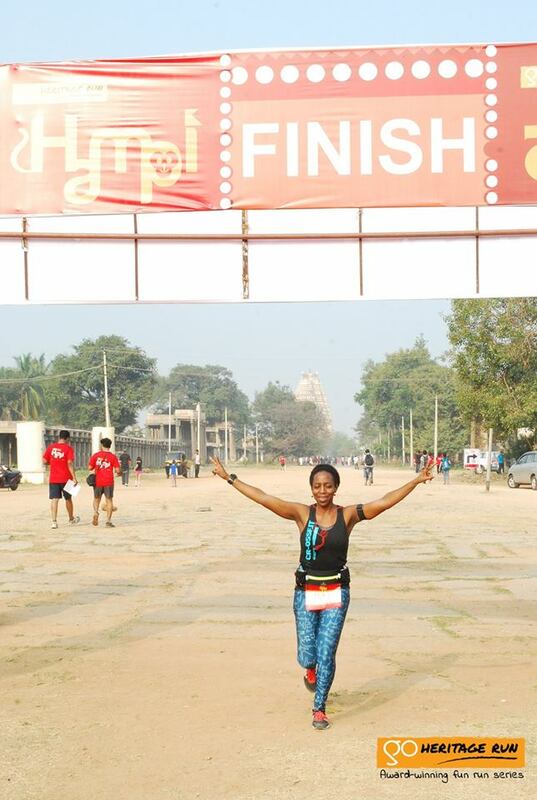 We conducted our first test run in 2014 and have planned a run vacation here every year since. 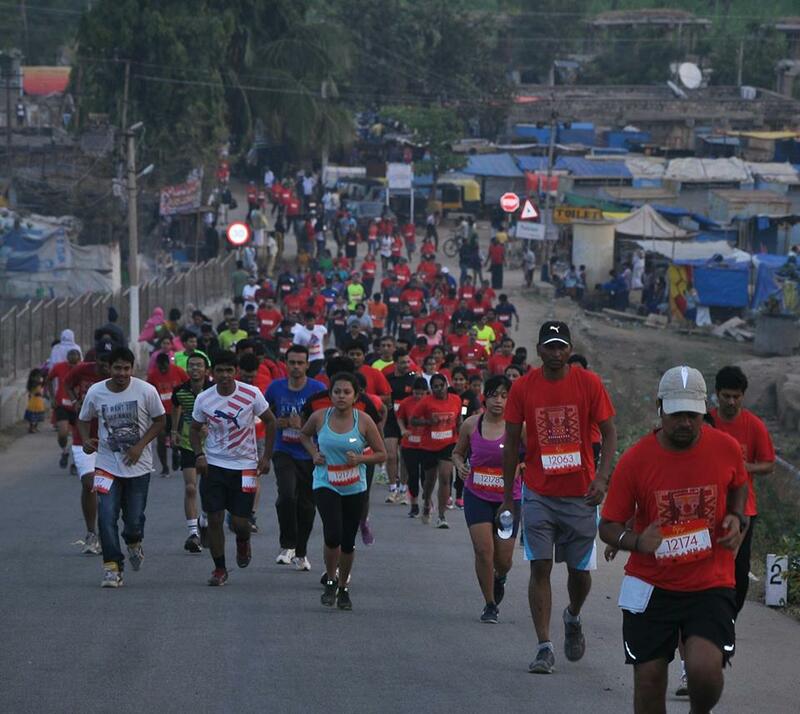 And participation has grown exponentially – this year’s run had over 600 runners and their families participate! 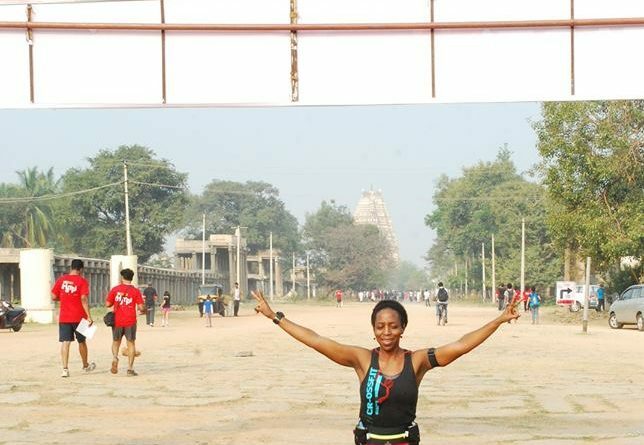 Returning to a destination to plan a run is always fun. 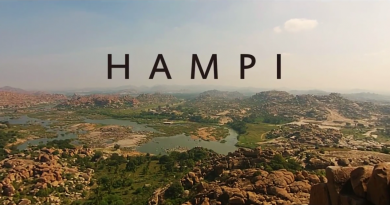 Through previous runs at Hampi, we’d built relationships with the offices of the Archaeological Survey of India, District Collector at Ballari District, the Anegundi Chapter of INTACH and the local police, identified tour partners and guides to team up with, and contacted local hotels. 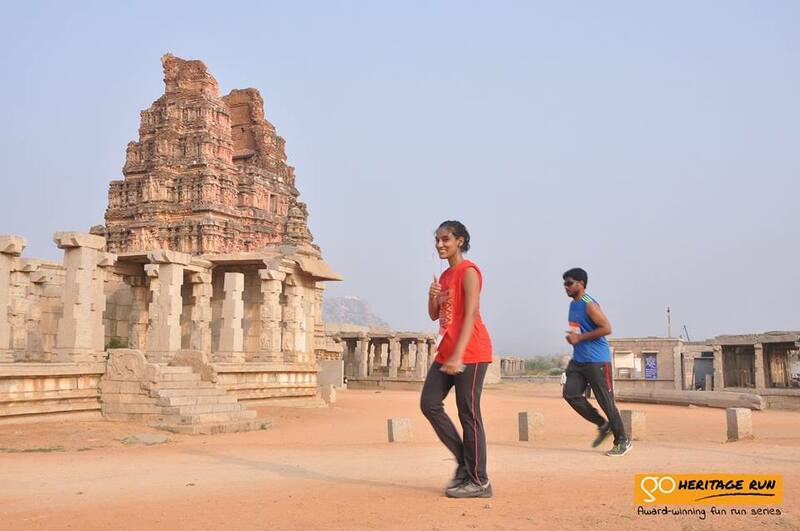 We made a trip to Hampi right after our run in Bidar to re-establish contact, seek permissions, find local partners and to run the 5K, 12K and 21K routes to make sure they were just as awesome as they were in years past! 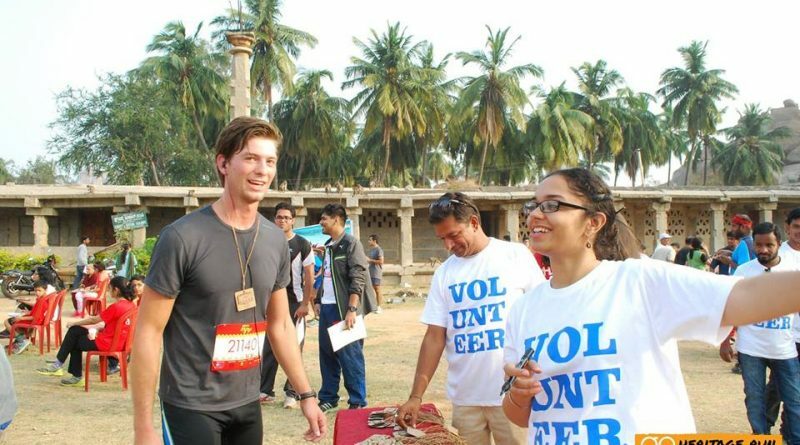 We announced the run dates in late November so participants could freeze on their Republic Day weekend plans or their post-Mumbai Marathon recovery run – whichever the case may be! 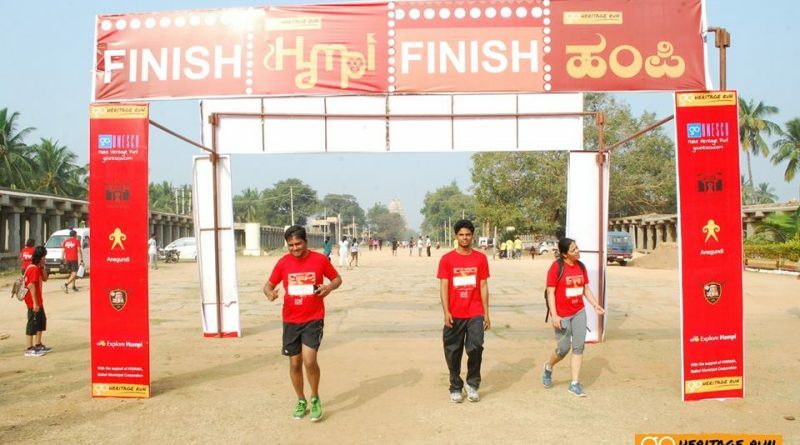 This was one of the few runs where we did not use sponsored ads to spread the word. 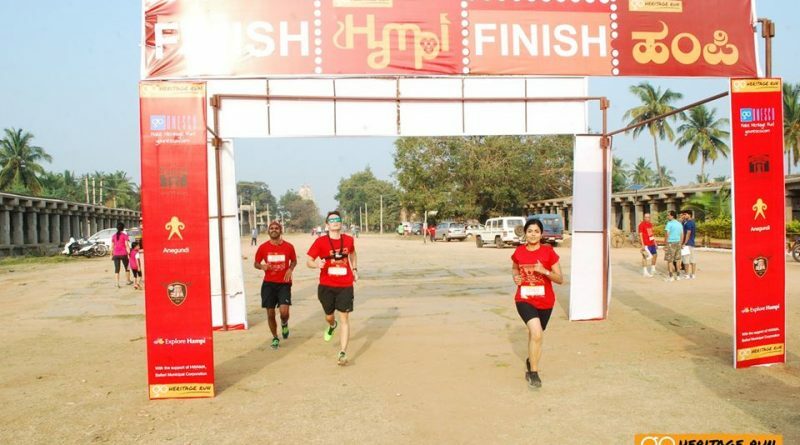 Word-of-mouth ensured we had a steady stream of registrations – online, local and offline – from Christmas until the very day before the run. 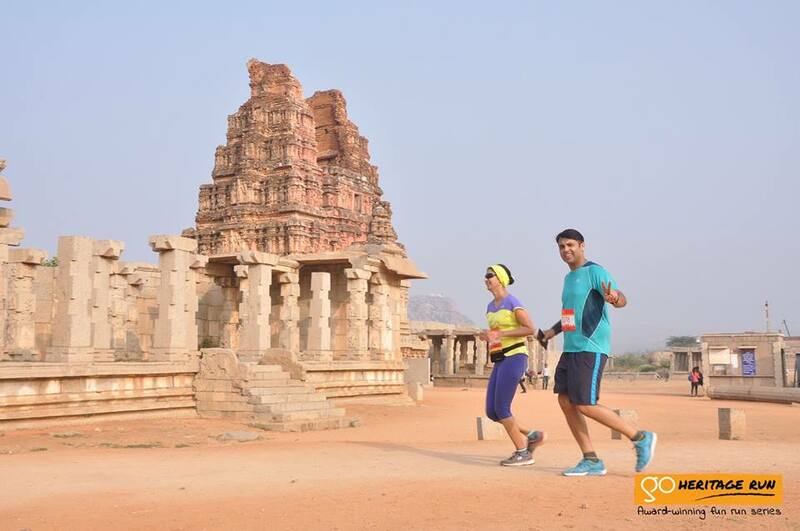 The thought of running at a destination like Hampi has that effect on runners and their families, we imagine! 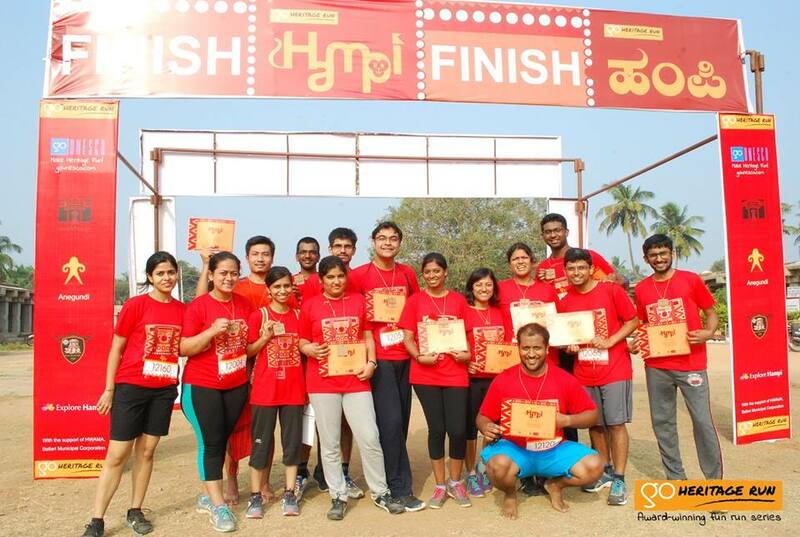 We announced early on that all our run collateral was inspired by the monkeys of Hampi as well as the local Lambani embroidery artform – runners got to see these designs against a Red-Brown-Orange color palette. 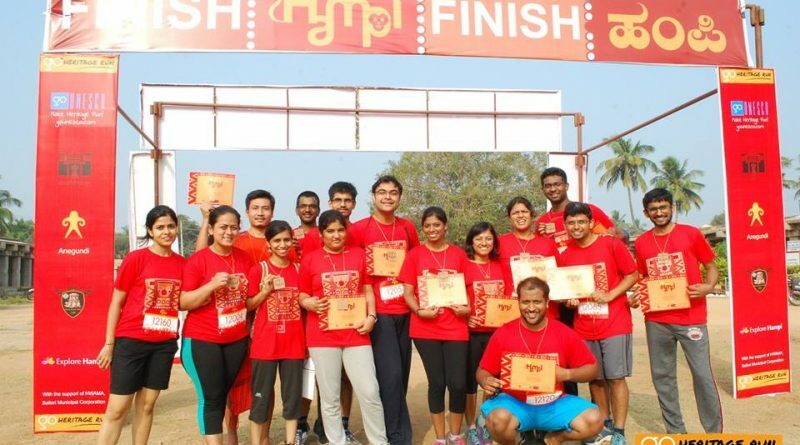 For the first time, we debuted bright red technical t-shirts featuring a monkey print in the Lambani embroidery style and they sold out really fast in the lead-up to the run! 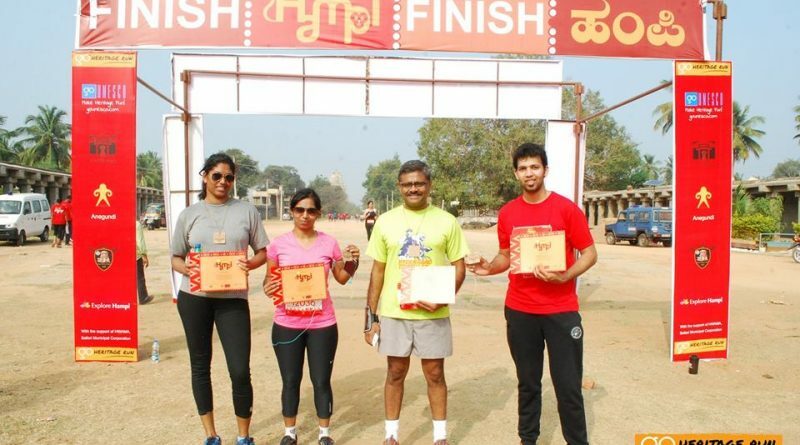 We also decided to get creative with our finisher medals – which were laser-cut renderings of the Lotus Mahal temple on wood. 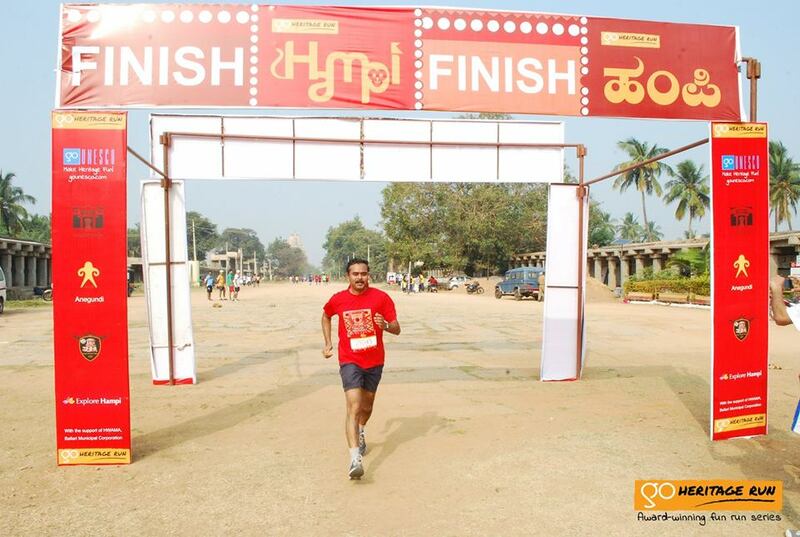 As an extra, we also inserted some fun Hampi stickers into the runner kit. 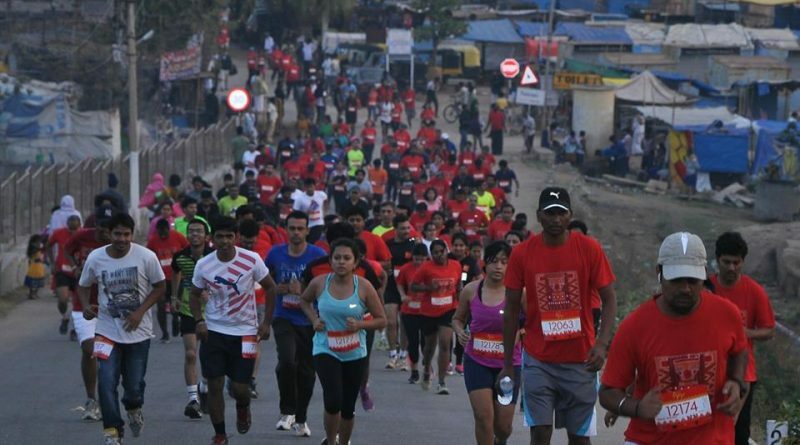 Early Sunday morning, over 600 runners set out along the 5K, 12K and 21K run routes. 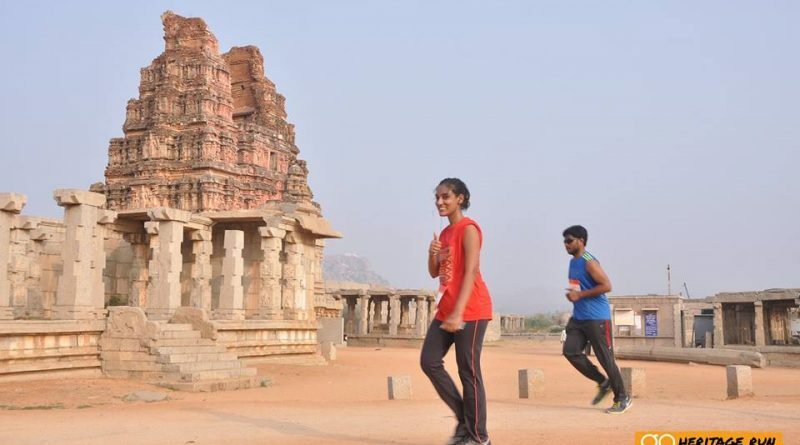 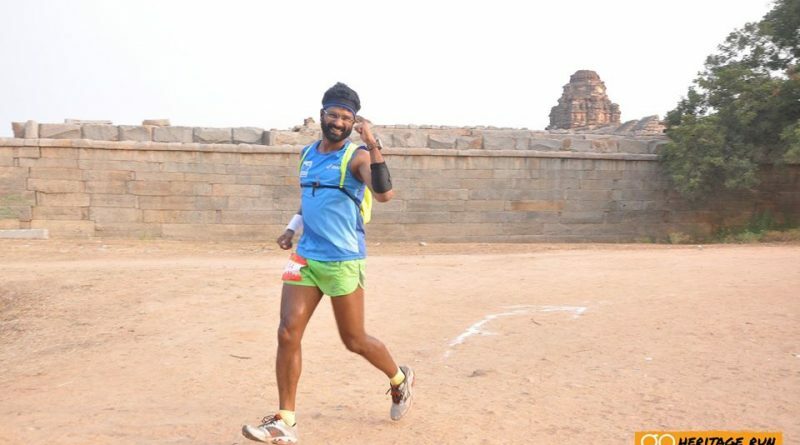 They ran along Hampi’s snaking roads and trails traversing UNESCO-designated World Heritage Sites, local banana plantations, rocky and sandy trails and the Tungabhadra river. 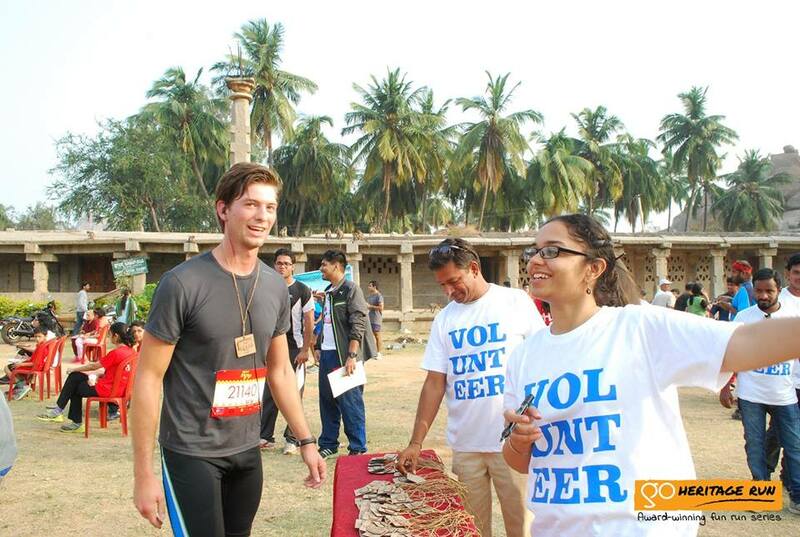 Many took part in the heritage treasure hunt organized by Orion Orbit – and we thank them for playing! 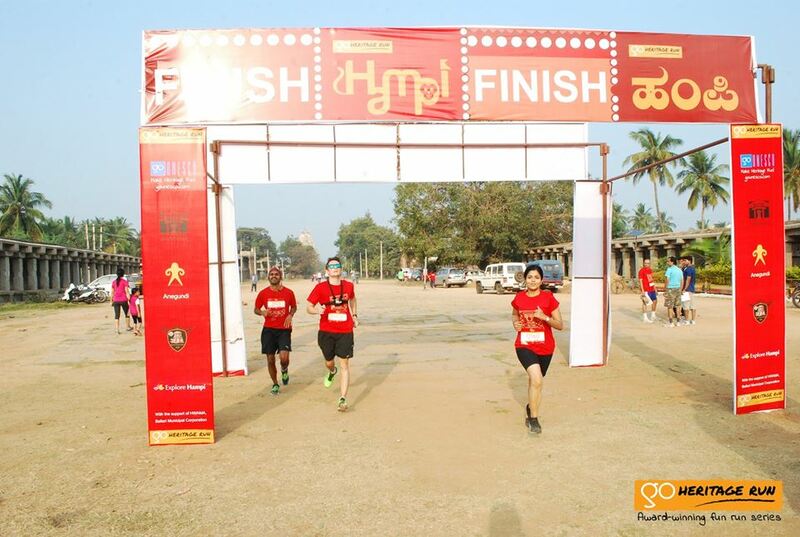 This was the first time we tried something like this and were encouraged by the constructive feedback we received! 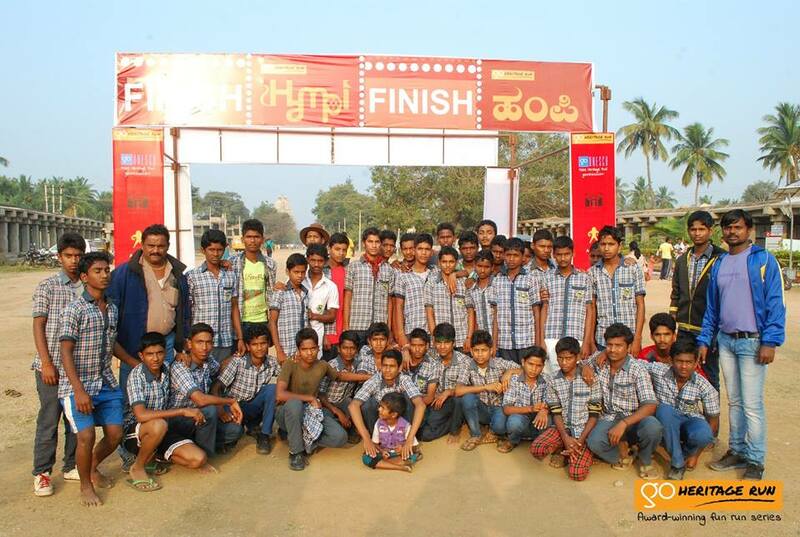 Also in attendance were school children identified by the Hospet Round Table who received free entry! 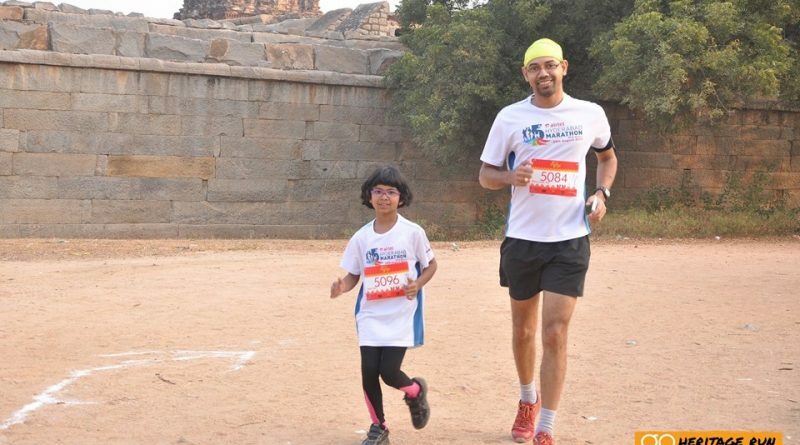 Our youngest participants were children of amateur runners who ran the 5K themselves! 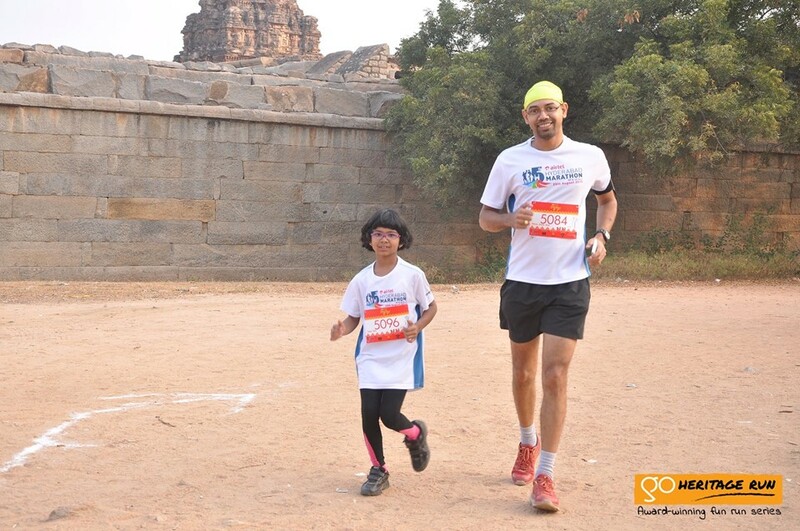 In partnership with local tour and travel organizations, we planned a series of extras so our runners and their families could experience Hampi’s heritage sites better! 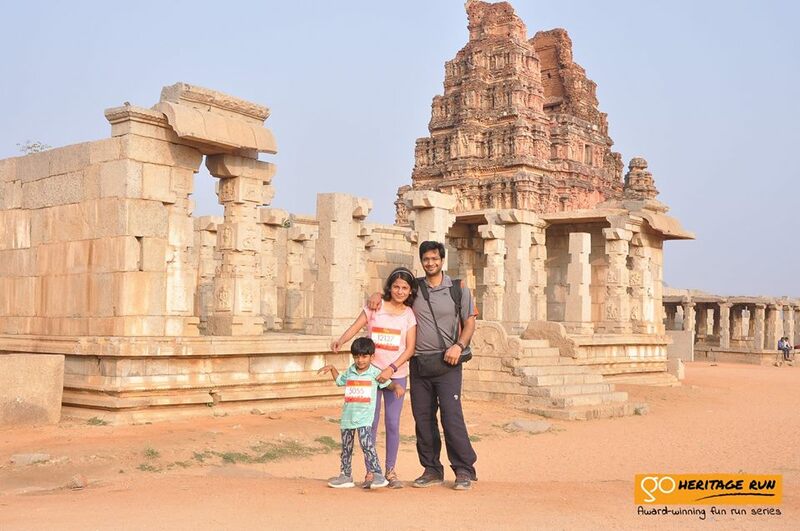 Explore Hampi offered our participants tours at special rates the whole Republic Day weekend. 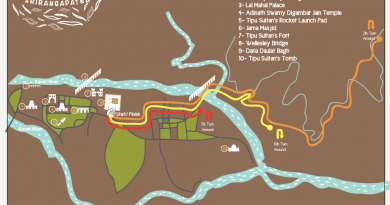 The team at Orion Orbit used their scavenger app to design a treasure hunt for runners to use on the run route. 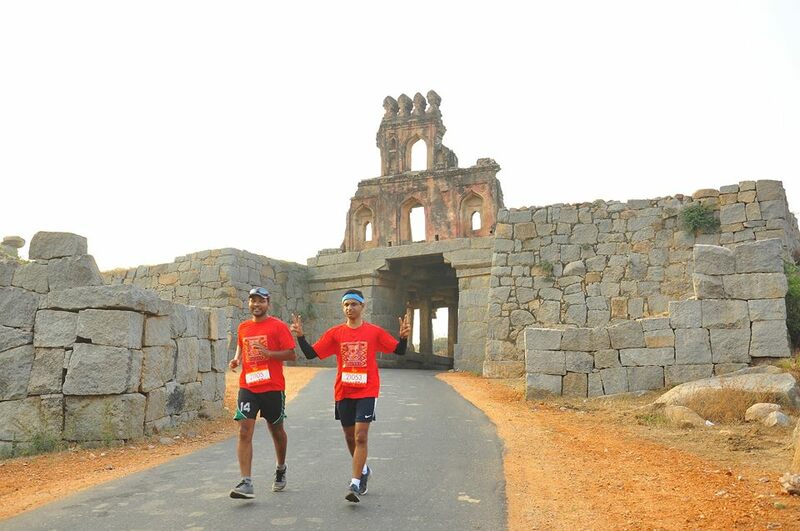 What we loved about it was that it encouraged our runners to actively explore heritage sites along the run route. 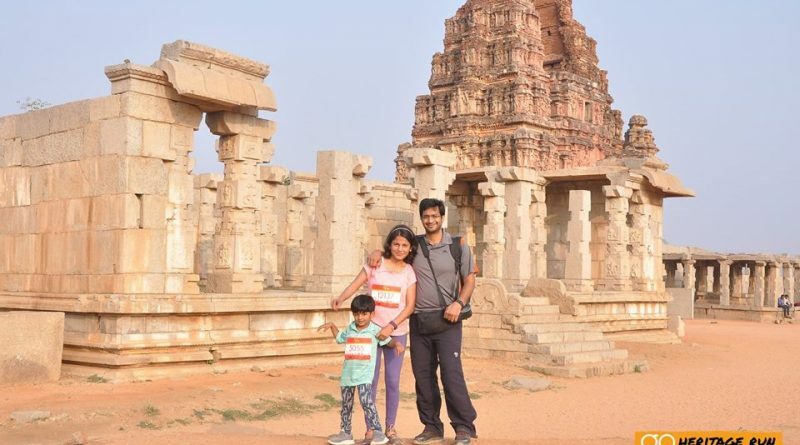 Further, the app works great offline – a plus especially in Hampi where cellular networks are patchy. 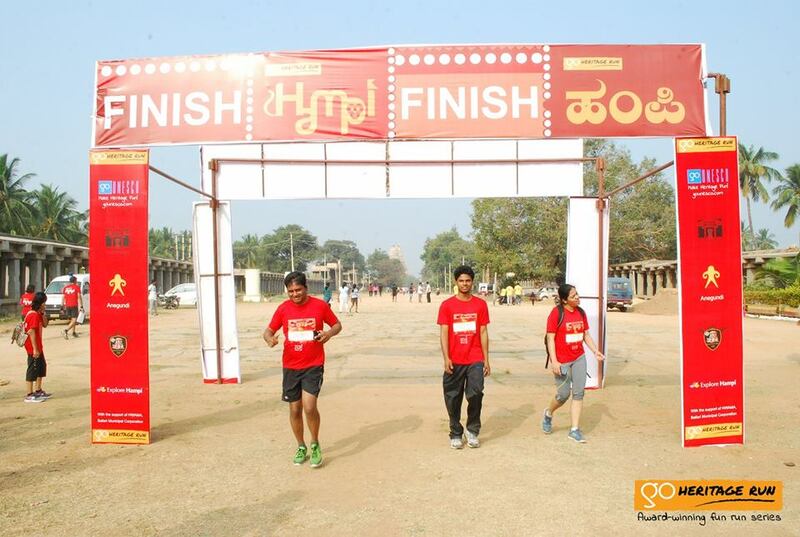 Hospet Round Table, our local partners, planned a glitzy post run party at Hotel Malligi for runners on Sunday evening. 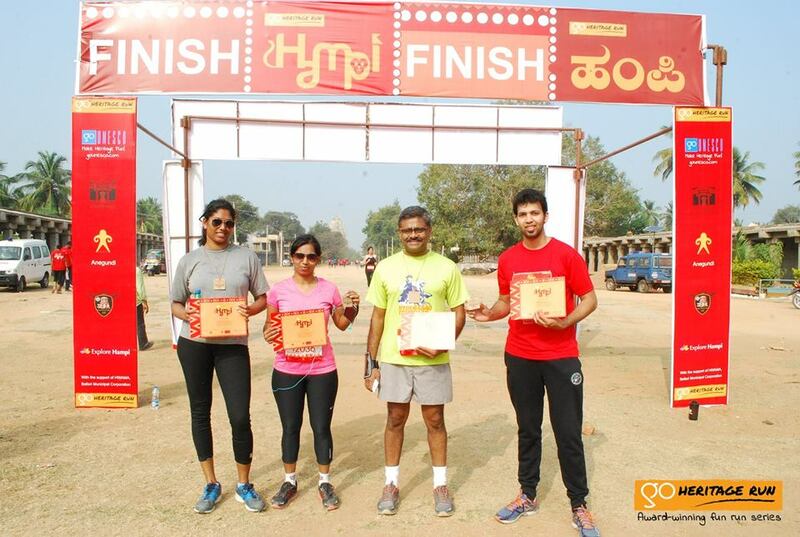 Go Heritage Run – Hampi was our first run of 2016 and incidentally, our biggest run yet! 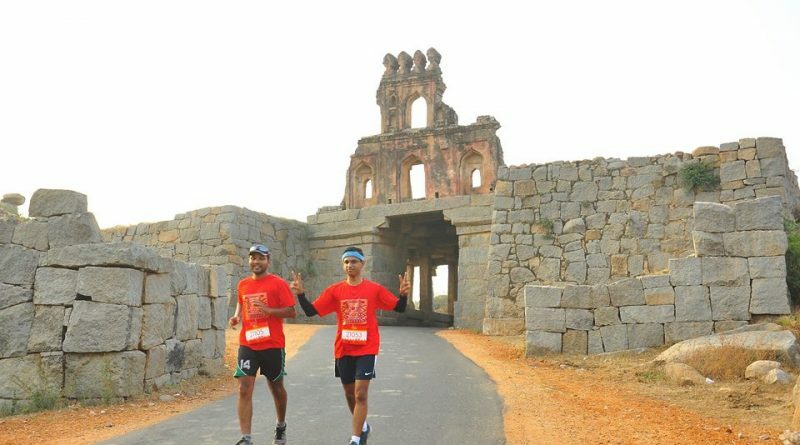 Our thanks to the Archaeological Survey of India, INTACH, Explore Hampi, Hospet Round Table, Orion Orbit, the tour guides at Hampi and of course, our stellar team of volunteers who travel to all our runs helping with Bib Distribution, Aid Stations, Route Setup and Start/Finish Area activities.